Make a tea cozy in time for Mother's Day! Or even in time for tea. It's that easy. Mother's Day is coming up and that got me thinking of what to make for my Mom. My Mom loves tea and collects both tea and tea pots. Naturally that leads to a collection of tea cozies as well. So I set to work this week designing a simple tea cozy and I made four of them in one day! Now I have a free tea cozy pattern and tutorial for you. This post contains affiliate links. Easy tea cozies by Daydreams of Quilts. The applique on these tea cozies is English Paper Pieced (EPP) but you can applique whatever you would like onto yours. 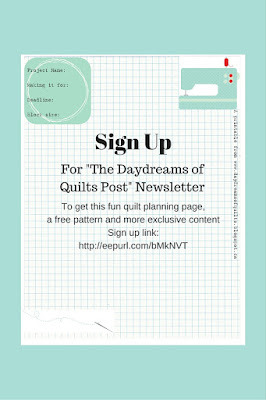 There are many EPP tutorials on the internet so I will briefly go over it here. You can find more detail on this technique in this blog post. Get your 1" Hexagon Papers . Pin to your fabric and cut out with a quarter inch seam allowance around all edges of the paper. Fold the fabric to the back and baste making sure to catch the overlap at the corners in the stitches. Here is one from the back. And here it is from the front. The large stitches are easy to cut at the end when you're ready to take your papers out. When your hexagons are all basted you can begin whip stitching them together to make your desired shape. Use one strand of thread and catch only tiny bits of fabric with your needle so the stitches don't show up on the front too much. Here are the whip stitches from the side view. Here are the two pieces from the front.If you use only one strand of thread and just catch little tiny bits of your fabric the stitches don't show. Once all your shapes are made (for example flowers) press them with your iron, cut the basting threads and remove the papers. Pin to the front of your tea cozy and top stitch with your sewing machine to applique to the project. To make the tea cozy download the free pattern from my Craftsy shop. Print out at 100% (no scaling, do not fit to page). The tea cozies will be about 10 inches tall by 13 inches wide. The pattern should measure about 7 1/2 inches wide by 10 1/2 inches tall when printed. Draw a line with a ruler down the left side of the pattern to make a cutting line to follow. Join up between the top and bottom cutting lines. Place the front and back tea cozy pieces together with lining sides face and pin around the outer curved edge. Here I am using Sewline Tulip Straight Pins . They are sharp, they pierce many layers smoothly and their silicone heads don't melt if accidentally ironed. After pinning around the outer edge stitch around the edge with a 1/8th inch seam to baste all the six layers together. Take a strip of binding, which has been pressed in half wrong sides together, and lay it on the front of the tea cozy matching up the raw edges and sew with a 1/4 inch seam as you do when binding a quilt. Trim off any excess binding. Fold the binding to the back side of the tea cozy and slip stitch in place covering your basting seam and encasing all the raw edges. This creates the look of piping on your tea cozy. Sew another binding strip around the entire bottom of the tea cozy by laying it on the outer fabric and lining up the raw edges. Sew with a quarter inch seam and slow down when sewing through the side seams which now have many layers with the binding you sewed in the last step. (I got too hasty and broke my needle on my machine at one point so slow down for those side seams.) I used the folding method (folding beginning tail 45 degrees and overlapping my end tail by an inch) to join my binding ends but use the joining method you prefer when you get back to where you started. Fold the binding to the inside of the tea cozy and clip with Clover Wonder Clip if desired. Hand stitch with a slip stitch as you use when binding a quilt to sew the binding down to the lining fabric. And you're done! 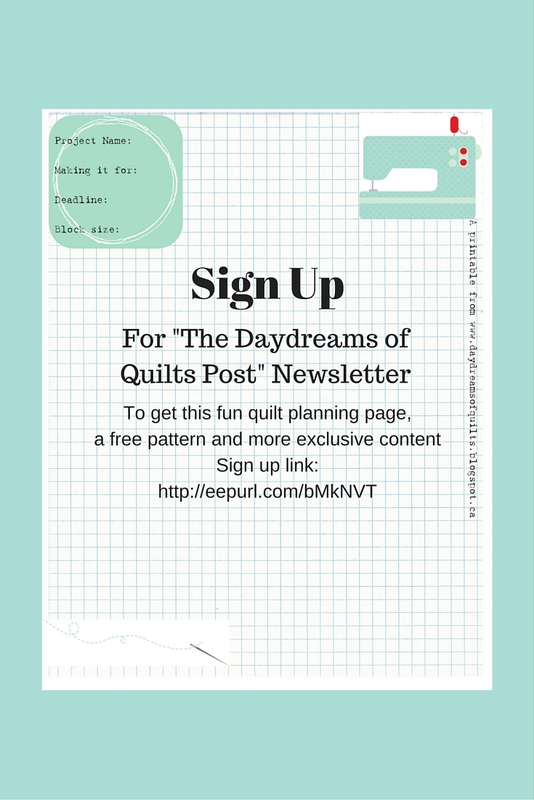 Sign up to my newsletter to get this free printable quilt planning page and a free pattern plus more exclusive content!